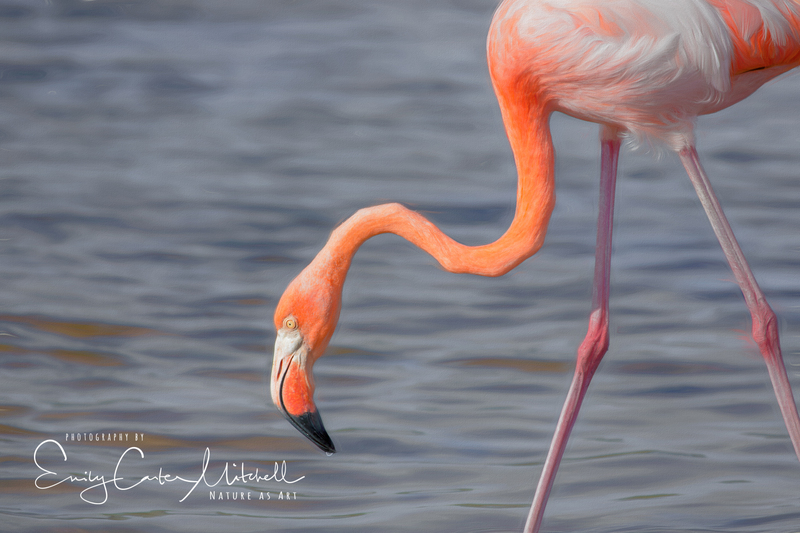 As a nature and wildlife photographer, and truly any photographer that wants to progress in their profession, Marketing and Promotion is an essential part of the equation. When speaking with several professional photographers that have been around a while, they spend a majority of their time Marketing and Promoting and a much smaller time out in the field capturing new images. I’ve been noticing more and more the trend of a single image being posted with a short story attached with camera and camera settings. “The Story Behind the Image” is becoming more expected and when browsing Instagram you see it on a good number of pages. This perhaps began long ago with giants such as National Geographic and Outdoor Photographer Magazine. It’s an interesting trend and different than being a blogger and sharing a full story with images, or a general social media user on Instagram, Snapchat or Facebook. As a long-time blogger, the flexibility to expand the story so much further with more than one image is liberating and nurtures the soul. For what we do as bloggers is, in a way – writing a journal of our human experiences in the world. It could be that the attention span on individuals now are shortened and really just want to hear a little blurb about one pretty picture than taking the time to go deeper into the story to experience it more. Truly, it could be many reasons why “The Story Behind the Picture” is taken a strong hold with photographers sharing their work. As photographers we are historians and interpreters of the world as we see it and documenting it for the future. How we interpret the scene through composition and post processing speaks to different people for different reasons. Select the perfect image to showcase your story. It should be technically accurate, well exposed and spot-on focus on your subject. Describe the subject, then the location and the conditions of when and where you were when capturing the image. Describe the emotional connection you had with the scene and your subject. Include the camera equipment used along with exposure settings in closing. Once the image has been selected and your mini-story has been created, then the next trend I see is that this image with it’s story is shared all over the place. A bit redundant in my humble opinion, but it gets your name noticed. To become even more successful in promotion, one should post an image a day to keep your name fresh in your follower’s minds. I have to admit, I’ve been bucking the trend, not wanting to jump on the band wagon and honestly – it’s a lot of conscious work. Even though my blog posts have slowed down significantly this past year opposed to my nearly daily posts that I was successful in doing for years, I still enjoy taking the time writing and sharing my full story with others. My blog posts have also been a great reference tool for others, as well as myself. Blog posts are also searchable items on Google which can lead to traffic to your website. So here you go, my first official “Story Behind the Picture” post. I would love to hear your opinion on what you think about Blogging vs. Story Behind the Picture approach. This week has been filled with emergency horse care and so I’ve been unable to get out and explore nature as I love to do. And so I decided to pull out my Galapagos hard drive to begin reworking the images I captured and edited back in 2014. The editing features of Lightroom are so much more improved and now with my fun creative artistic software Topaz Studio with Topaz Impression it’s worth the effort. When in the field, I meticulous take notes throughout the day of where I am and what I saw in the order that I saw them. This way when I get begin working with my images I have a reference record to help with species identification and where we were. I also keep my notes right next to my chair so that I can find them even four year later. When importing my images into Lightroom, I rename the image file including a location abbreviation code and date stamp so that if I come across an older image at a different location I know exactly where to look. We were on Santa Cruz Island in the Cerro Dragon area to look for the yellow Land Iguana and this little lovely came very close to the shoreline giving me a great opportunity to appreciate it’s pink beauty. After some minor adjustments in Lightroom I brought into Topaz Studio and added two filters to end up with this result. Canon 5D Mark III, 100-400mm at 400mm. 1/2000 sec at f/8.0, ISO 500. Great flamingo shot, Emily. I am not a professional, but have intuitively chosen to usually publish one photo at a time; often including a short story and settings. I find that when looking at other people’s posts, the photos have less of an impact if there are a bunch together lumped in a gallery. If I post more than one, I post full size in one column. That is very interesting to hear Susan. I’ve thought about doing just one image with a short story before as I get busy, tired, etc. and it seems like a great way to share without being too taxing. I use short galleries sometimes like up to 5 images, or even a slideshow. Usually when I have a lot that show the place of where I was and don’t want to make the person scroll down on and one through images. If they want to look at them closer, they can. It also breaks up the post visually IMHO. Ultimately, I think the conclusion is this – less is more right? The image is wonderful, with great composition and color and a really cool subject. With respect to the format of the “Behind the picture post,” I am not sure that I am really a fan, though it may have been the way that you approached this specific posting. I think I would have liked to hear more about the Galapagos and more about the moments when you actually captured the image. I guess it depends on your target audience. If it is mostly aimed towards experienced photographers, then the equipment settings may be primarily what they are interested in. If the audience is more general, though, the focus might be more on what you were feeling or seeing. I guess I am used to a free flow blog process that lets me tell long stories or shot ones, that allows me to focus on feelings or workflow or settings or techniques without being limited by a check list for the post. I do like the idea of doing a lot of single shot posts or, for me, up to three images. I cringe when some of my Facebook friends post collections of 40+ images. I get a lot of comments on my blog postings from a four year old boy who avidly views them with his grandmother each morning. One of the questions I ask myself when I work up a posting is whether it is interesting enough to whet the curiosity and interest of that four year old. Not surprisingly, I tend to spend a minimum of time on technical issues like camera settings. I’m with you about the 40+ images posting on FB as that means the individual has a hard time picking just one to share or just a few. It seems we are both ‘old school’ where the blog process allows us full freedom to express ourselves on how we feel and what we would like to say or share. That is so cool to hear about your faithful 4-year old follower. How super is this ! Congratulations and thank you so much for chiming in. I appreciate your comments and feedback, it really helps. Have a great day! I agree ! As kindred spirits, we’d much rather be out on adventure than inside working the social media game. Also the full story really brings the life experience to others. Thank you too for sharing your thoughts. Big hugs! So well said Fatima – there is much more of a human connection. Hadn’t thought of that. Thanks ! Beautifully done, Emily. Thanks for sharing your process. Spectacular image! My pleasure Jane and thank you very much.